Gyrotrons form a specific group of devices in the class of fast-wave vacuum electronic sources of coherent electromagnetic wave radiation known as electron cyclotron masers (ECMs) or cyclotron resonance masers (CRMs). The operation of CRMs is based on the cyclotron maser instability which originates from the relativistic dependence of the electron cyclotron frequency on the electron energy. This relativistic effect can be pronounced even at low voltages when the electron kinetic energy is small in comparison with the rest energy. The free energy for generation of electromagnetic (EM) waves is the energy of electron gyration in an external magnetic field. As in any fast-wave device, the EM field in a gyrotron interaction space is not localized near a circuit wall (like in slow-wave devices), but can occupy large volumes. Due to possibilities of using various methods of mode selection (electrodynamical and electronic ones), gyrotrons can operate in very high order modes. Since the use of large, oversized cavities and waveguides reduces the role of ohmic wall losses and breakdown limitations, gyrotrons are capable of producing very high power radiation at millimeter and submillimeter wavelengths. 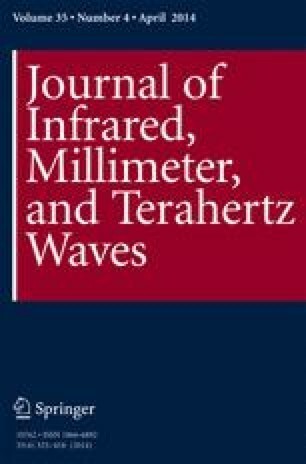 The present review is restricted primarily by the description of the development and the present state-of-the-art of gyrotrons for controlled thermonuclear fusion plasma applications. The first gyrotron was invented, designed and tested in Gorky, USSR (now Nizhny Novgorod, Russia), in 1964. The authors wish to express their deep gratitude to Mrs. M. Huber for preparing some of the figures. One of us (G. N.) would like to thank M. E. Read for sharing some recollections about the gyrotron development in the US.